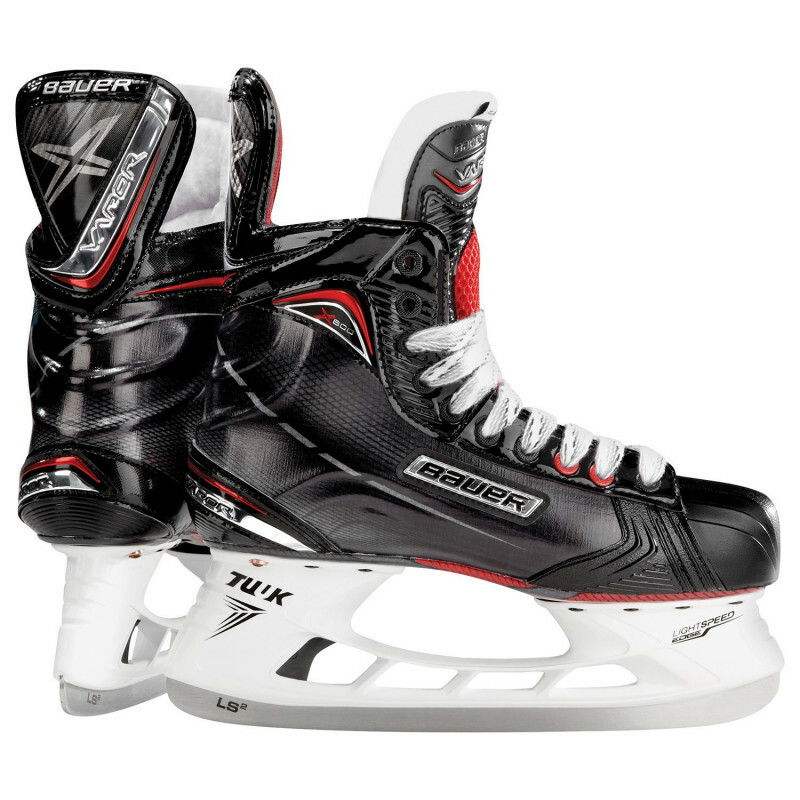 The Vapor X800 skate carries on the Vapor legacy as the most popular family within Bauer's 3-fit platform. While the Vapor fit may not work for every foot type, those who do benefit from its fit characteristics often swear by its “second skin” fit and feel. Its standard v-fit profile consists of a standard width through the toebox and forefoot with a low-volume, narrower fit in the heel and ankle. The OD1N concept skate provided the inspiration behind the updated X-Rib pattern that can be found throughout the Vapor line. In addition to providing structural support to the skate, lab tests, designed to measure performance, showed that the X-rib pattern led to improvements in heel and ankle lock which resulted in quicker cross overs and tighter turns. Purposely built with a measured balance of lateral support and forward flex, Bauer uses its incredibly lightweight and responsive Curv® composite in the quarter of the X800. This technology is typically reserved for Bauer's flagship skates, so to find it at this price point is truly an added value. The 3D Lasted design provides a head start to a great fit while the fact that the Curv® composite material reacts so well to heat molding provides the final touch to get you an amazing 360° fit with minimal negative space and significantly reduced break in time. The boot sits atop a pro TPU outsole, which is a commonly used material that also provides a stable platform for which to mount the Tuuk Lightspeed Edge holder. This holder design provides an added three millimeters of height, in comparison to the Tuuk Lightspeed 2 holder which allows the skater to get lower to the ice for sharper, tighter turns without “bottoming out” or in other words a greater angle of attack. The other huge benefit of this holder is the ability to change the runners in seconds with the pull of a trigger. Carrying an extra set of sharpened steel in your bag could mean the difference between getting the game winner or sitting on the bench with a bad wheel. The X800 comes stock with the very popular stainless steel Tuuk LS2 EDGE runner, which contributes to it being lighter than the stock 1X and X900! If you want to experience the performance of a Vapor skate that is equipped with Curv® composite technology at a fraction of the price of higher end Vapor skates, then you've got to check out the Bauer Vapor X800 model today!